Complimentary coffee, wifi and *uninterupted* work time for parents; perfect blend of open-ended play and semi-structured activities for kids. Parents can choose to work in our bright, open mezzanine cafe or in a small quiet room while our experienced child care associates supervise the littles on site. All child care associates have completed background checks. For safety, we keep our groups small, so register early to hold your spot! Annual members receive a 10% discount on coworking services. Please call or email for code. Is there an age limit for coworking? Nope! We are currently accepting children of all ages. Please be aware that our staff does not handle diaper changes, and will come to you when needed. We always recommend packing a water bottle. 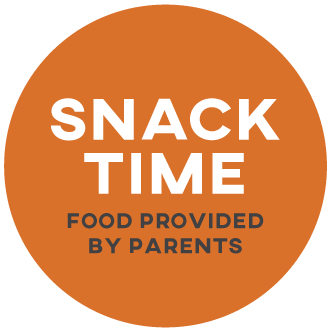 If you would like your child to have snack while you are coworking, you are more than welcome to pack food. Your caretaker will chat with you about the day's schedule upon arrival. Unfortunately, we do not. In order to ensure we have the proper staffing, registration must be done at least 24 hours in advance. Will you be adding additional days to your coworking availability? Possibly! We hear you and understand that there is a demand for more coworking availability. The best way to stay in the loop about any schedule and/or programming changes is to follow us on social media and sign up for our newsletter. Please stay tuned for more information regarding our coworking program.